Hey, Tuesday! I can’t believe you’ve come back around again. Since you’re here, how about some sillies? EK speaking to the waitress at the restaurant with Annie: Will you please bring me some ice cream with chocolate sauce and sprinkles? Girl knows what she wants. EK: You’re a mother! We should get you a present, too! Hubby: …unless you’d like to take your nap at Annie’s house. Annie: That’s alright with me. EK: Well, we’ll have to ask Ryan’s wife first. Annie: Is Finley your friend? J: No! He’s my best friend. 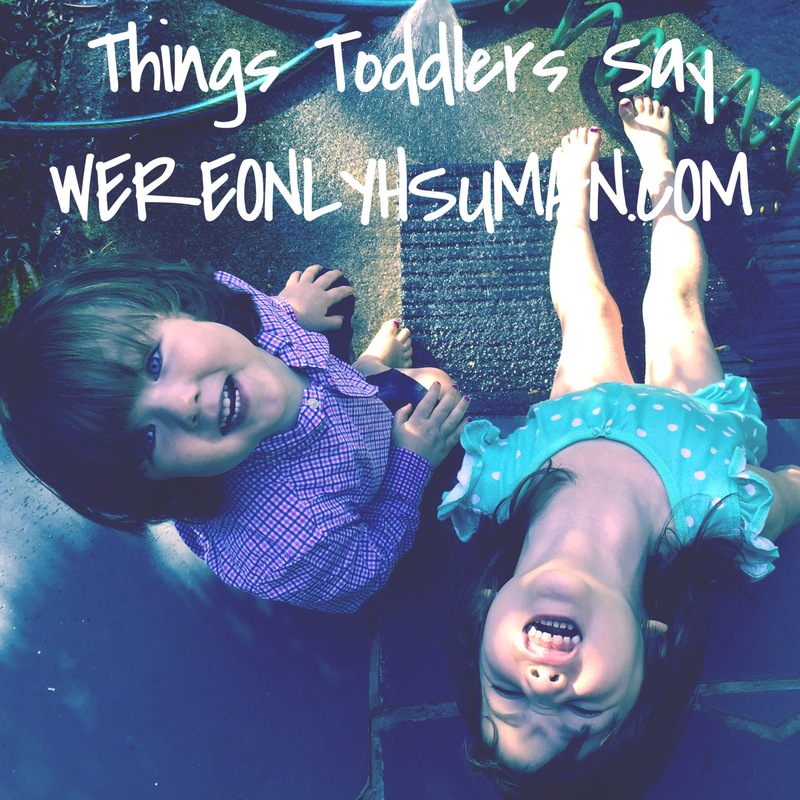 EK: Okay, I say “no” and you say “yeah”… No! J, when I went to wake him up: Mom! 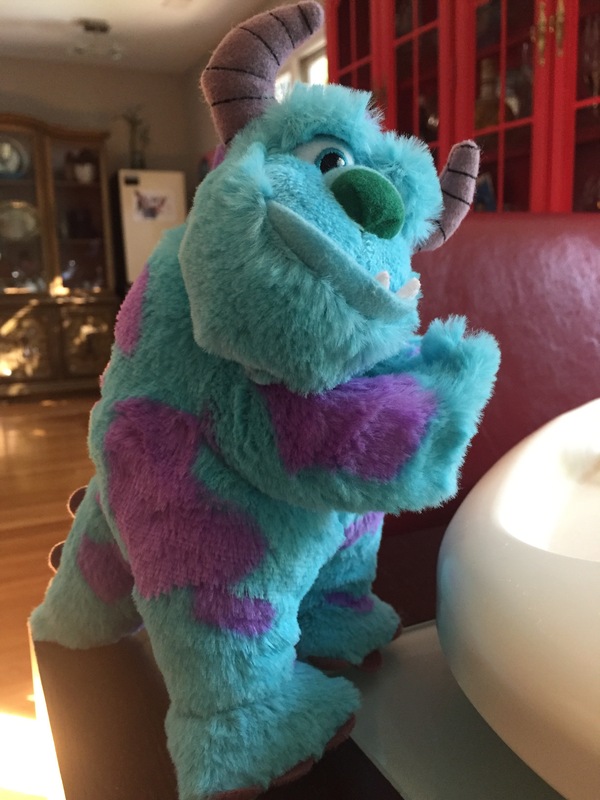 I can’t find my Sully anywhere! EK: Can I have your avocado? EK: Wait! Don’t give it to me yet… Can I please have some of your avocado? How very polite she’s become. EK: Daddy, you like spicy food. EK: Yeah, but the kiddos don’t. Me: I don’t really plan on being at Lauren’s work, no. EK: You will. Bery, bery soon. J: I hidin’, Mom! I hidin’ right here! Jan: I’ll snuggle you for two minutes. And then, I have to go. If your mom sees me in here, she’s going to be upset. EK: Yeah. She may call the police. And the police will come take you away. Go back to your room right now! EK: Yes! Because the police might come! EK: It’s good to have a blanket when you’re drinking a milkshake on the couch. That’s it for the week. There was more, but I just can’t write everything down! It’s too much. You’d be flooded with hilarity, and that’s not good for the rest of your life. Everything else wouldn’t be as funny. Have a good week!